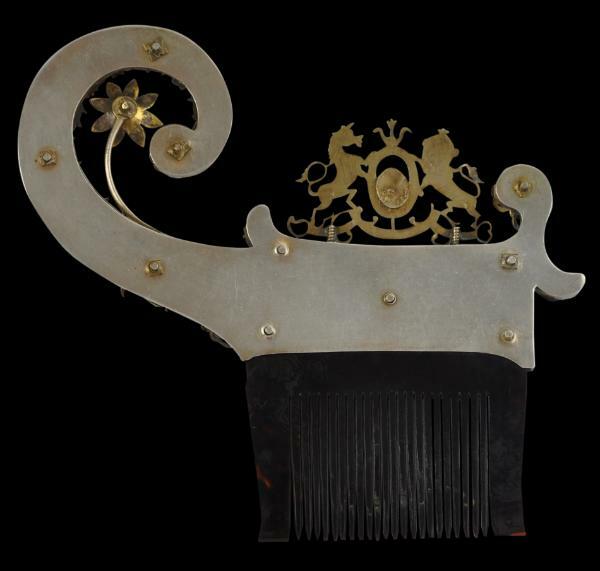 This is the best colonial-era Sri Lankan comb that we have seen. It is extravagant in its form and its construction. 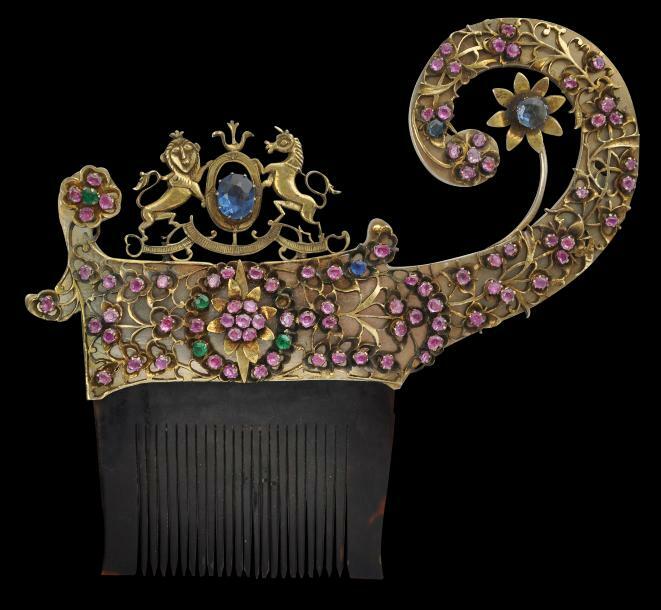 It comprises a tortoiseshell comb section, and a mount of gilded silver sheets, the front of which is overlaid with gilded silver trellis work set with dozens of pink sapphires (which are indigenous to Sri Lanka) and blue and green glass ‘stones’ (one is deficient). One end of the silver mount rises to a dramatic curl around a single flower motif. The top of the mount is decorated with a finely wrought version of the Royal coat of arms of Great Britain, underscoring the colonial status of Ceylon, as Sri Lanka was then known. It is likely, that such combs were not actually intended to ‘comb’ the hair but to sit in the hair to adorn it. Coomaraswamy, A.K., Mediaeval Sinhalese Art, Pantheon Books, 1956 reprint of the 1908 edition.